In Ubuntu 14.04, 13.10 and 13.04, Unity (and Compiz) are using Gsettings and because of this, the "unity --reset" command used to reset Unity in previous Ubuntu versions doesn't work anymore. 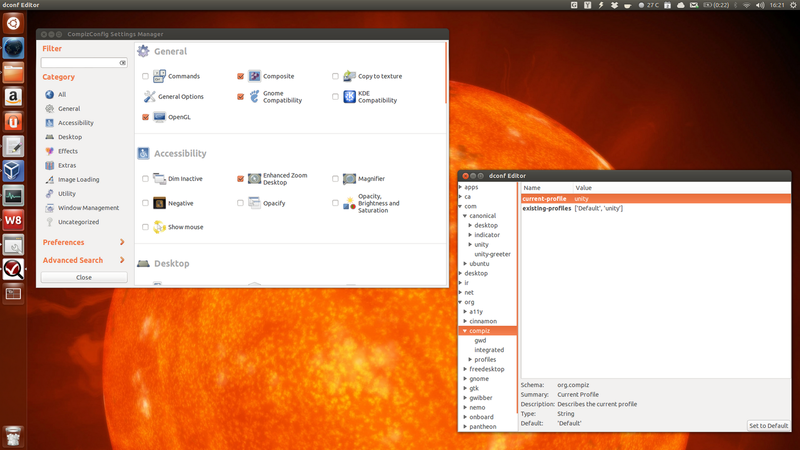 In case some settings are messed up and you want to reset Unity and Compiz to their default settings, here's a new way of doing this that works with Ubuntu 14.04 Trusty Tahr, 13.10 Saucy Salamander and 13.04 Raring Ringtail. Update: this article was initially for Ubuntu 12.10 and 13.04. 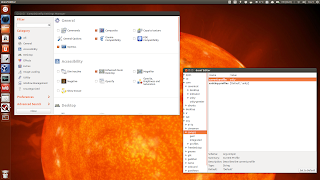 I subsequently tested new Ubuntu releases and these instructions work with Ubuntu 13.10 and 14.04 as well. A. The first method is using a tool that tries to replicate the old "unity --reset" behaviour. Unity Reset tool can be downloaded from HERE and it should work with Ubuntu 14.04, 13.10 and 13.04. Or get the script from HERE. The instructions above are preferred to reset Unity in Ubuntu 14.04, 13.10 or 13.04! B. The second method might not work in all cases but it can be used in case the above method doesn't work for you or you simply want to try and reset Unity and Compiz manually. And a final note: the old "unity --reset-icons" command which resets the Unity Launcher icons to default still works with Ubuntu 14.04, 13.10 and 13.04.